Let’s kick off with this 1.68ct round diamond. This particular diamond is the on the highest colour and clarity grade, being identified by the GIA as a D colour grade with internally flawless clarity. Finding a gemstone of this quality is extraordinarily rare and this is reflected in its price – retailing for upwards of £30,000. A stone of this grade would look exceptional in a solitaire style in any metal as it will subtly showcase the brilliance of this triple excellent round diamond. Below, you can really see the colour difference between a D colourless and I near colourless. With white diamonds, the more colourless, the higher the price. However, the difference between colourless and near colourless isn’t always obvious to the untrained eye. This means that diamonds with a colour grade of H or I will typically appear colourless, especially when set in yellow gold. The perfect balance of the 4 Cs are seen below. 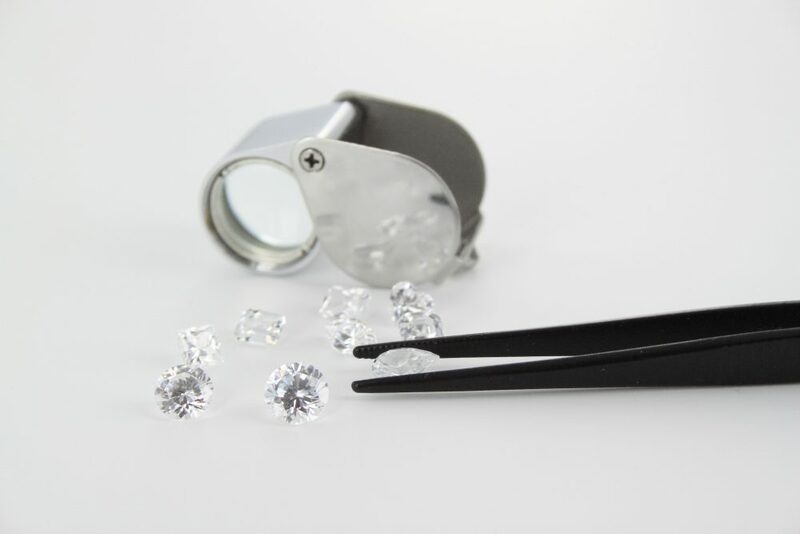 We often recommend a diamond with a G colour grade and a VS1 or VS2 clarity grade. Diamonds with these characteristics still offer the visible colourless quality seen in a D colour diamond, without the premium price point. This allows you to focus the rest of your budget on a more desirable diamond cut and carat weight. A large majority of our customers choose diamonds with clarity grades of VS2 combined with a G colour grade as they still look incredible set in any metal or style.